Is ASEAN Losing Its Way? KUALA LUMPUR: The Association of Southeast Asia Nations has prided itself on its “ASEAN Way” – an informal and non-legalistic way of doing business, especially its culture of consultations and consensus that have resolved disputes peacefully. That way of doing may be fading among signs the group’s unity is seriously eroding. Against the backdrop of the rise of an assertive China, signs of disunity spell trouble for the region. There are several reasons for this disunity. First, ASEAN today is a much bigger entity. Membership expanded in the 1990s to include Vietnam, Laos, Myanmar and Cambodia, with East Timor likely to be the 11th member. ASEAN’s functions and issues have also expanded. Economic cooperation has expanded from the idea of a free trade agreement to a more comprehensive economic community, which technically enters into force this year. ASEAN cooperation extends to a range of transnational issues from intelligence-sharing, counterterrorism, and maritime security to environmental degradation, air pollution, pandemics, energy security, food security, migration and people-smuggling, drug-trafficking, human rights and disaster management. With an expanded membership, agenda and area of concern, it’s only natural that ASEAN will face more internal disagreements. It’s thus not surprising that one of the most serious breakdowns of consensus have involved its new members. Cambodia, as ASEAN’s chair, disastrously refused to issue a joint ASEAN communique in 2012 to please China – its new backer and aid donor – rejecting the position of fellow members, Philippines and Vietnam, on the South China Sea dispute. With an expanded membership and agenda, ASEAN faces more breakdowns in consensus. Compounding challenges is the uncertain leadership of Indonesia. There are signs that the Jokowi government has downgraded Indonesia’s leadership role in ASEAN especially as the de facto consensus-builder of ASEAN on both intra- and extra-ASEAN conflicts, including the South China Sea. Jokowi’s “less multilateralism, more national interest” foreign policy approach, in sharp contrast to his predecessor Susilo Bambang Yudhoyono’s active leadership of ASEAN, could change. If not, the danger is that if the democratic, economically dynamic and stable Indonesia does not take ASEAN seriously neither will the world at large. Without doubt, ASEAN’s main security challenge is the territorial disputes in the South China Sea. While not a new problem, the disagreement has telescoped due to recent Chinese activities. The most recent example: China’s reclamation activities in the Fiery Reef claimed by Vietnam and Mischief Reef and surrounding areas also claimed by the Philippines. This reflects a shift in China’s approach. While the Chinese military has pressed for land reclamation for some time, the leadership of Hu Jintao had resisted such moves. That restraint ended under the leadership of Xi Jinping, who is more prone to seek the PLA’s counsel in foreign policy issues related to national security and who has advanced China’s assertiveness on economic, diplomatic and military fronts. China is developing the islands further for both area denial and sea-control purposes and as a staging post for blue-water deployments into the Indian Ocean. Without doubt, ASEAN’s main security challenge is the territorial disputes in the South China Sea. These developments challenge ASEAN’s role and “centrality” in the Asian security architecture. The economic ties of individual ASEAN members lead them to adopt varying positions. Until now, ASEAN’s advantage was that there was no alternative convening power in the region. But mere positional “centrality” is meaningless without an active and concerted ASEAN leadership to tackle problems, especially the South China Sea dispute. Episodes such as the failure to issue a joint ASEAN communique in 2012 have led to the perception that ASEAN unity is fraying and China is a major factor. According to this view, China is out to divide and conquer ASEAN even as it pays lip-service to ASEAN centrality. This perception results from China’s seeming willingness to use disagreements within ASEAN, especially the consensus-breaking stance of Cambodia, insisting that ASEAN stay out of the South China Sea conflict, as an excuse to resist an early conclusion of the South China Sea Code of Conduct. China also takes the unwillingness of some ASEAN members to use strong language to criticize China as a sign of disunity. China cites earlier differences within ASEAN regarding the scope of the code of conduct over the inclusion of the Paracels, as desired by Hanoi. Moreover, China views the code as crisis-prevention tool rather than a dispute-settlement mechanism. China must dispel the perceptions of a divide-and-rule approach, and ASEAN must not abandon the South China Sea issue. China needs to dispel perceptions that it is playing a divide-and-rule approach to ASEAN. It should also stop objecting to bringing the South China Sea question onto the agenda of the ASEAN Regional Forum and the East Asia Summit, on the pretext that not all ASEAN members are party to the dispute and outside countries such as the United States have no business even discussing the issue. This has the effect of undermining the very idea of ASEAN centrality or relevance that Beijing purports to uphold. It’s hard to see what the rationale for having these meetings might be without discussion of one of the most serious challenges to regional security and well-being. As for ASEAN, it must not remove itself from South China Sea issue. If anything, it should give even more focused attention to the disputes. One must not forget the lessons of the conflict triggered by the Vietnamese invasion and occupation of Cambodia from December 1978 to September 1989. Neither Vietnam nor Cambodia were members of ASEAN, and only Thailand was regarded as the “frontline state.” Then, ASEAN decided to involve itself in a conflict between two non-members because it considered the Vietnamese action a breach of regional norms and a threat to regional stability. Today, four of ASEAN members are parties to the conflict, out of which two are “frontline states”: Philippines and, ironically enough, Vietnam. The South China Sea conflict poses an even more serious threat to regional stability, and it is a legitimate concern of ASEAN as a group. Finally, a word about the view put forward by some that ASEAN is irrelevant and should stay out of the South China conflict. The alternatives are few and bleak. US military action? It may have a deterrent value against the worst-case scenario of a full-blown Chinese invasion of the islands, but is unlikely to prevent the more likely scenario of China’s creeping expansion. Any US-China understanding is useful for crisis management, but ASEAN would have to worry whether in the long-term it would lead to US concessions to China – such as refraining from militarily and diplomatically challenging China’s position in the islands and surrounding areas.A decision by the Permanent Court of Arbitration in the Hague, which is considering a motion filed by the Philippines challenging the legality of China’s nine-dash line, may end up in Manila’s favor. This would help ASEAN, even if China rejects that verdict. But to make the most of such an opportunity, ASEAN would need to show collective support for such a verdict, and it might help if other claimants, such as Vietnam, also initiate similar legal action. China rejects a more direct role by the East Asia Summit, led by ASEAN anyway, because of US membership. The international community should render more support and encouragement to ASEAN to persist with its diplomacy in the conflict. And Indonesia needs to get back in this game. The Cold War which marked much of the second half of the 20th century was an era of bipolarity. Its end was followed by a “unipolar moment” dominated by the United States. Now that the unipolar moment is rapidly fading, many pundits see the emer gence of a multipolar world. I would rather call it a Multiplex World. A Multiplex World is a decentred world, where power and leadership are not monopolized by one or two powers. A Multiplex World is like a multiplex cinema, which presents a variety of shows featuring different plots (ideas), actors, producers and directors.The offerings may include Hollywood thrillers and westerns, Bollywood song and dance, Chinese kung fu, European realism, and many others. More importantly, a Multiplex World is not a multipolar world. There are three key differences. First, unlike Europe’s multipolarity before the Second World War, so nostalgically celebrated by Henry Kissinger in his new book World Order as the foundation of the modern world, a Multiplex World is shaped not just by a handful of Great Powers and their alliances. It is also shaped by newer and regional powers, global and regional organizations, corporations, social movements and shape-shifting terrorist networks. Second, economic interdependence in a Multiplex World is more multi-faceted and complex. It covers not just trade, but also investment, financial flows, production networks and a shared vulnerability to transnational challenges like climate change, terrorism, pandemics, etc. Third, a Multiplex World has multiple layers of governance. Regional powers and institutions enjoy a much greater significance than in a bipolar or unipolar world. A Multiplex World presents many opportunities as well as challenges for India. By most accounts, India is a rising power. This week, the International Monetary Fund projected that India’s economy will grow by 6.5% in 2016, faster than China’s predicted 6.3% expansion. Both the bipolar Cold War and the unipolar moment limited India’s ability to shape world order. The waning of Western dominance opens space for emerging powers like India to play a more active role in global affairs. But to take advantage of this opening, India needs to abandon outmoded principles such as non-alignment in favour of a more energetic, proactive and positive posture of global and regional engagement. India is absolutely right to demand the reform of global institutions such as the UN, WTO, IMF and the World Bank to make them more democratic and accountable, and give India and other developing nations more voice. At the same time, it must shed its reputation for being the country that gives “global governance the biggest headache” as American journalist Barbara Crossette once put it. This may be an unfair characterization, but a new book entitled Bargaining with a Rising India by Amrita and Aruna Narlikar, confirms that Delhi’s negotiating behaviour on issues such as trade and non-proliferation is marked by an exaggerated sense of its needs and priorities, a refusal to make concessions and a tendency to accept only those agreements that are highly favourable to India. To benefit from a Multiplex World, India needs to adopt a more positive sum approach, pursuing shared interests and seeking common ground, and showing a greater willingness to make concessions and compromises. Like other emerging powers, India may be tempted to bypass its region and seek status through membership in global forums such as G-20 and BRICS (Brazil, Russia, India, China and South Africa). These global clubs are, of course, important. But their benefits are compromised if the regional ties of the emerging powers are in poor shape. Look at China. Its global image and leadership ambitions are undermined by its plethora of disputes and rivalries with its neighbours.India should not privilege its membership in global clubs at the expense of its regional ties. Imagine what an India-Pakistan shift from a duel to a duet -whether in the form of a combined cricket team playing against Australia or a joint effort to strengthen the South Asian Association for Regional Cooperation -will do to India’s domestic stability and its global image and influence! None of this is to say that India should disregard its national interest and embrace a neo-Nehruvian idealism. But a Multiplex World gives it more choices to pursue its national interest and leadership ambitions by promoting global interdependence, pursuing proactive and shared leadership of global governance, and building a positive regional environment in South Asia and the Indo-Pacific. Who is going to take the lead in the world? President Barack Obama has kept his word and announced the end of the intervention in Afghanistan launched in 2001. This is the symbolic end of the age of US dominance. Although there is still no clear contender to take over this role in the global order, some already call this a new post-American era. The old powers come back into play, writes Prof. Bogdan Góralczyk on the portal Obserwator Finansowy. President Barack Obama has kept his word and announced the end of the intervention (ISAF mission) in Afghanistan launched in December 2001. This is the symbolic end of the age of US dominance. The US dominated but has not won, although there is no clear contender to take over its role in the global order. There is much controversy about what lies ahead in this new era, which some already call post-American (e.g. Fareed Zakaria, Kishore Mahbubani and many Chinese authors, including Liu Mingfu and Zhang Weiwei). Charles Kupchan fears that we are facing the threat of ‘No One’s World’, while Amitav Acharya, an Indian-born scholar who has lived in the West for years and who lectures in the United States, in his recent essay with the much-telling title The End of the American World Order compares the coming age to multiplex movie theatres. He believes that we are dealing with the twilight of the ‘American-led liberal hegemonic order’ and that ‘the American World Order is coming to an end whether or not America itself is declining’. The Pax Americana which has undoubtedly existed since the fall of the bipolar order is simply ending, rather irrevocably. There will no longer be a single superpower or hegemon like the United States, and previously the United Kingdom and others before it. The age of multiplex is coming, where ‘no single director or producer would monopolize the audience’s attention or loyalty’. Since 2008, we have been observing not only emerging markets – previously called the Third World, the South or developing countries – but also the revival of the former centres of power as well as past civilizations, such as China, India and Turkey. Thus, this new world will also be multicultural, since the new – or rather re-emerging – powers have their own value systems, different from that of the West. This is the aspect highlighted by John Ikenberry, one of the US strategic gurus, in his review of Acharya’s book in the latest issue of Foreign Affairs. Will this more diverse, multi-polar world be better? It’s hard to say. There are ongoing disputes on this subject. What is important (also for us, in Poland) is that the era of absolute US dominance is rather irreversibly gone and there are some strategic conclusions to be drawn from this for ourselves. It is high time to remember that there are also non-European markets and other directions than just the West, which we focused on after 1990 – quite rightly at that time. When applying the same calculation methods and measures, in 2000 the GDP of the United States was eight times higher than China’s. In 2010, it was only three times higher. At the same time, the share of emerging markets in the world GDP increased from 18 to 29 per cent, and according to the purchasing power parity (PPP) – from 34 to 45 per cent. If there is no unpredictable cataclysm, according to the European ‘Global Trends’ report in 2030 the list of the world’s largest economies will be as follows: China (23.8 per cent), the US (17.3 per cent), the EU (14.3 per cent), India (10.4 per cent), and Japan (3.5 per cent). The American ‘Global Trends’ report lists the largest economies in the world in the same order, although with slightly different numbers. However, it also adds that in 2030 Asia, which has recently been the most dynamic area, will not only surpass the Euro-Atlantic world (i.e. the US and the EU) in terms of GDP but also will dominate in terms of population, military spending, R&D, and technological progress. According to the Asian Development Bank in Manila, which suggests that ‘the age of Asia is coming’, the share of the Asian GDP in the global GDP will increase from 39.9 per cent in 2030 to 52.3 per cent in 2050, while at the same time the share of the US (currently at 22 per cent) will drop to only 12 per cent. China will increase its share in the world GDP to 20 per cent, and India to 16 per cent. Let us, however, leave the numbers and the methodology of the study aside. Predicting what will happen in 2030 or 2050 is just pure guesswork. In this context, we should always bear in mind the words of the Danish physicist Niels Bohr: ‘Prediction is very difficult, especially if it’s about the future.’ In fact, we do not really know what the future will be, there are too many unknowns. The important thing, however, are the trends and processes that are already at work, and these – according to the Indian scholar – are quite clear in meaning and content. The age of Europocentrizm and Western dominance that has lasted since the Age of Discovery is coming to an end. Old powers are back in the game, especially China and India, which – as indicated by the in-depth OECD and Angus Maddison’s data – even in the era of the Napoleonic Wars still generated about 40 per cent of the world GDP and only later fell into a deep crisis caused by colonization or the Opium Wars. Therefore, for them, for their elites and societies, what is going on since 2008 is nothing else than a return to the glorious days of the past, while for us in the West it is a shock. After all, according to our logic, it has always been otherwise. We lived in a highly developed and industrialized world, while they lived in poverty. We called their world ‘developing’ or ‘Third World’, while seeing ourselves as the First World. It is an important and telling fact that this very important message coming from the current changes in the distribution of power on the global stage is strongly emphasized both by the Chinese authors mentioned at the beginning of this article and by those settled in the West but with Indian roots: Amitav Acharya, Kishore Mahbubani, Fareed Zakaria, or Parag Khanna. They know what they’re saying: the unipolar moment, the time of independent and hegemonic powers is over. Here comes the era of multiplex movie theatres, with their different programmes and multitude of options. The decline of the U.S.’s global hegemony should not necessarily lead to instability, according to UNESCO Chair in Transnational Challenges and GovernanceAmitav Acharya, speaking at CEU March 11. In the lecture, hosted by the Department of International Relations and European Studies, Acharya discussed ideas recently published in his book “The End of American World Order.” The emerging alternative to U.S. hegemony is a “multiplex” world, he said, using his own term for the complex global system. Transnational terrorism is only one of the challenges that the liberal hegemony could not react to in a competent way, he said. The view held by many Western scholars that by rearranging itself, the present hegemony may retain its power, is false, he added. In his view, the world has changed too much in the past decades for a system that was based on the realities of the 1950s. “This world, the complex global world, has never existed before. The institutions through which the United States could exert authority – NATO, IMF and so on – were created in a different time, and while reforms were promised many times to share authority and power, they only come slowly,” Acharya added. He also contested the view that emerging powers China, India or Russia will uphold the system of liberal hegemony because they have benefited from it so far. “They don’t feel as sentimental about liberalism as those in the West, and their system of capitalism is vastly different – only take China’s state capitalism as an example,” he added. Defining it rather as a metaphor than a theory, Acharya introduced the concept of the “multiplex world order” as an alternative to the current terms “bipolar” and “multipolar,” which he regards as inadequate. Drawing comparisons from the world of cinema, he stated that in this world it is possible for different systems to coexist, just as several different movies can be screened in a multiplex theater. In this new world order, it is no longer only great powers that count. Lesser powers, regional powers, international and transnational organizations and corporations will all have a more important role to play. According to Acharya, one of the key characteristics of the multiplex world is an unprecedented global interdependence, which manifests itself in the financial sector and in production networks, not primarily in trade. He also mentioned regionalism as a defining trend that was exempt from the universalistic U.S.-led system of hegemony. “Regionalism entails neither fragmentation nor instability. If we look at human history, we can only find 200 years when a global hegemony existed. First came the British Empire, followed by the U.S.-led liberal hegemony. But in the remaining time we mostly see regional powers,” Acharya said. He argued that regionalism in the multiplex world order is much more open to cooperation than the blocs formed in 19th-century Europe. He mentioned the Association of Southeast Asian Nations (ASEAN) as one example of regional cooperation that has shown gradual development in efficiency and recognition by other powers. He went on to criticize the assumption that stability, public goods and peace would only be achievable through the system of liberal hegemony. “There is a tendency to list only positive things as inherent attributes of liberalism and ignore the ‘dark side’. Rule-based free trade, for example, existed before liberalism in pre-colonization Southeast Asia. Some who read my book said that a multiplex order may not only be better for the world, but for the U.S. as well. I personally think that the unsuccessful handling of recent conflicts was not caused by the U.S. having too little, but rather having too much power,” Acharya concluded. Henry Kissinger, Francis Fukuyama, Amitav Acharya: In addition to the former US Secretary of State many other wise geo-strategists currently think about a new “world order” – as the title of Kissinger ‘s latest book reads. Large stacks of books can be found in American stores with headings such as “Political Order and Political Decay” by Fukuyama, who had written after the collapse of the Soviet Union about the “end of history” – probably a bit premature as it turned out. A more skeptical, but also more realistic account of “The End of American World Order” is provided by Acharya, a well-known political scientist at the American University in Washington. Even though the authors take different approaches, their messages are similar: The world order in the postwar period is finished. The balance of power has changed dramatically. Together with Europe, the US dominated world politics and also the global economy for a century. But now China, India and Brazil are pushing for the stage, and Russia is fighting for its place in a multipolar balance of power. In the aftermath of the Second World War, the weights of the world economy were clearly distributed. The West – led by the US and the European Union (EU) – defined certain rules that the rest of the world had to follow. Those who did not voluntarily do so were politically, militarily or economically forced. Sanctions, boycotts, blockades, and even (American) troops were deployed across the globe according to Western notions of law and order. The present however looks entirely different. The emerging economies in Asia, Latin America and Africa have caught up in recent decades in all respects to the west – militarily, politically and economically. Just look at the latest data from the International Peace Research Institute SIPRI (Link: http://www.welt.de/138444856) in Stockholm. It indicates that China’s military budget and military expenditure, the world’s number two behind the US, has increased in 2015 by a further ten percent to 886 billion yuan (approximately 136 billion euros). This is in stark contrast to the EU, where numbers have fallen rather than risen.The emerging economies want more say and less Western tutelage. They want a say in the rules of the global economy. Different interests in the emerging and Western countries are becoming increasingly clear. It is therefore becoming more and more difficult to find common globally valid compromises. Nowhere is the lack of a common understanding more evident than in the failure of the World Trade Organization (WTO) to institute new rules for a global economy of the 21st century. This is even more pertinent because in the future trade in goods is not as much in the foreground any more as it was the case in the past. The “Internet of Things”, the 3-D printer, global information highways, knowledge bases, and an international exchange of information and know-how determine the dynamics of the global division of labor. The WTO fails to provide a useful framework for those things as well as cross-border trade in services embodied in people. The EU is the biggest loser in the tectonic shifts in world politics. No one has benefited more from the old world economic order than the Europeans. The new world economic order puts all that at stake. Just as weak the European assets have become is indicated to Europe in many places, not least because of the military aggression of Russia. That’s why the US is an indispensable ally for the defensive EU: first, from a political point of view to create and maintain peace and freedom, and secondly from an economic perspective in the fight for open markets and international legal certainty. In all the debates about chlorine chicken or genetic engineering (Link: http://www.welt.de/136564111) Europe and the United States mostly agree with each other in the critical issues. The differences are much smaller than with other cultures. When it comes to introduce the fundamental Western beliefs and values in a new world economic order, the US and the EU have no other partners across the world as close as each other.It’s not just an ignorant arrogance but a complete misconception of reality if Europe believes that it could establish a stable economic order based on Western ideas about comprehensive and equal human rights, individual fundamental rights and freedoms – especially freedom of expression and religious liberty, property and self-determination without the active support of the US. The US are indispensable especially for a successful and sustainable European trade with emerging economies in Asia, Latin America and Africa. Europe relies more strongly on good transatlantic relationship than the US. This is because the political conflicts escalate currently far away from the USA in the direct or indirect European neighborhood – in Ukraine, in North Africa, the eastern Mediterranean and in Syria, Iraq and Afghanistan. By itself, the militarily insufficiently prepared Europe is merely relegated to the sidelines and remains endangered to be inadvertently drawn into violent conflicts.Only in conjunction with the US, Europe has a chance to preserve common Western interests in a future that will be so completely different from the past. This is because the emerging economies or governments driven by religious movements will want to bring in and enforce their perspectives, values, and interests.In this multi-voiced choir, Europe will not stand a chance to be heard as a soloist. At best, the EU can succeed together with the United States to act as a counterweight to the populous emerging economies.Therefore, a transatlantic trade and investment partnership (TTIP) (Link: http://www.welt.de/137243156) between the US and the EU is of fundamental importance. It is ultimately the litmus test of whether the geostrategic relations between Americans and Europeans are determined by commonality or differences. Thomas Straubhaar is Professor of Economics, in particular international economic relations from the University of Hamburg. By the end of August 2014, he was Director and Chairman of the Hamburg Institute of International Economics (HWWI). Since September 2013, the Swiss-born fellow of the Transatlantic Academy in Washington, DC, has been often staying in the US. He writes for “DIE “WELT” regular columns on current economic, political and social issues. In my book, The End of American World Order (Polity 2014; Oxford India 2015), I developed the term “Multiplex World” to conceptualize the emerging world order that would replace the fading unipolar moment and the ‘American-led Liberal Hegemonic Order’ (to use John Ikenberry’s term). The term has struck a chord among readers (see, for example, http://www.amazon.com/The-End-American-World-Order/product-reviews/0745672477) and numerous people around the world have since asked me to offer further clarifications and elaborations of the concept. I originally had in mind the idea of a multiplex theater or cinema in which the audience can enjoy a variety of shows, actors, directors and producers, instead of a single show. This conveys the sense that the emerging world order would be more decentered and pluralistic in terms of its key ideas about and approaches to stability, peace and development, compared to the passing order of American or Western dominance. Since then, I have done more investigations into the meaning of the term. Here are some interesting findings, all of which speak to the theme of diversity, plurality and multi-dimensionality, while retaining a strong sense of interdependence among the players. The above meanings of the term multiplex make it especially apt as a metaphor for conceptualizing what comes The End of American World Order. In a Multiplex World order, ideas and approaches to peace, development and stability do not emerge from a single source, however powerful (as would be under American led liberal hegemonic order), and then simply get “mirrored” into other places. Rather they have multiple points of origin which nonetheless intersect and interact. In other words, a Multiplex World Order accommodates “several messages or signals simultaneously”. Such a world order has “many folds” and “many parts” that all matter to different degrees. It’s a decentralized, diversified and multidimensional world in which actors – state and non-state actors, established and new powers, global and regional groups, from both the North and the South, interact in an interdependent manner, while seeking a common ground in a plurality of ideas and approaches. In his review of my book in Foreign Affairs (http://www.foreignaffairs.com/articles/142536/amitav-acharya/the-end-of-american-world-order), John Ikenberry calls the “Multiplex World” “an imaginative vision of a less centralized, more pluralistic world”. Imaginative it might be, but it is also based on the firm reality of our world. The varied usages of the term can be found in the day-to-day life of the overwhelming majority of human beings. Anyone who goes to a multiplex theater, or prefers watch them on home television, through streaming via tablets, smartphones and other devices would understand and appreciate that Multiplex World is the most apt and appropriate naming of our present and future. One of the most influential approaches to explaining the spread of human rights norms in the literature on international relations emerged in the late 1990s. Authored by a group of constructivist scholars, this work revolved around two powerful concepts, the Boomerang and the Spiral, although the latter is seen as a refinement of the former. These theoretical contributions have been widely studied, and inspired a generation of scholars, and I need not go into detail revisiting their contribution and the debates surrounding them. Briefly put, in the former, activists link up with transnational human rights groups and use their influence with their own national governments and international organizations to bring pressure to bear on their domestic oppressors. In the spiral model, which subsumes the boomerang, governments initially accept human rights norms for instrumental reasons, but gradually end up internalizing them due to moral pressure and accountability politics. It is far from my intent here to reject the basic validity of these models in capturing a good deal on what goes on in the human rights world. But they suffered from several limitations. These models painted a generally adversarial picture, focusing on few cases, especially case where the target is a highly repressive government. Hence they do not serve as an explanation for the general promotion of human rights norms around the world, including the developing world (such as India) where human rights approaches have been anchored on a more inclusive or positive relationship between the government and the civil society. And what about countries, such as China, which did not have a significant organized civil society due to official repression? How does the Boomerang work there? Moreover, while in the boomerang the agency of change is found in domestic activists acting in concert with foreign governments and transnational NGOs, in reality, the agency role of local actors was hardly recognized. The latter were mostly Western, while the former were mostly from the developing world. And in an echo of what I have called moral cosmopolitanism, as Ron writes, the literature on human rights has privileged the role of transnational actors at the expense of local actors. As Ron says, it “paid far less attention to the local embodiments of human rights norms in the developing world.” Domestic and local groups were treated as “pliant”, dependent and monolithic. Although in the Boomerang model local groups initiate the process of change, “their location, obscure language, and marginality…limited scholarly inquiry.” Yet, scholars increasingly acknowledge the critical role of local civil society groups: “Transnational NGOs and networks can monitor, inform, and advocate all they want, but without serious investments of time and effort by local human rights champions, nothing much will change on the ground”. Finally, some very important things in the global normative environment for human rights have changed since the end of the Cold War which calls into question the continued validity of the Boomerang model. 9/11 (and now the Snowden saga) has diminished the moral prestige and leverage of “Western Powers”, especially the US, in the developing world, for the Boomerangs to travel effectively. The rise of the rest has accelerated since the 1990s. Western leverage on human rights issues may be diminishing in view of the growing voice of emerging powers. Democratization in non-western societies (Indonesia) means local actors there have less rationale and need for support from outside. The role of social media empowers local actors and permits a more horizontal mobilization among domestic activists than ever before. Hence there is less need for information boomerangs that travel internationally. Finally, growth of regional organizations, especially in Asia, provides a new if not alternative site for debate and discussion and promotion of human rights. To understand the diffusion of human rights in this altered global normative environment, and taking cognizance especially of the hitherto neglected role of local actors and their interactive or two-way relationship with the global human rights regime, I calls for a broader understanding of the origins of human rights with a view to look past the “universalism versus relativism” debate, and propose two relatively new concepts of norm diffusion: localization and subsidiarity. In his essay, “The Relative Universality of Human Rights”, Jack Donnelly argues that “Islamic, Confucian, and African societies did not in fact develop significant bodies of human rights ideas or practices prior to the twentieth century. He also concedes that the West too did not develop such a conception of human rights till industrial age. The idea that human rights are peculiarly Western holds true only if one defines human rights narrowly. For Donnelly, Human rights are “equal and inalienable entitlements of all individuals that may be exercised against the state and society”. Unlike Donnelley, I don’t think human rights should be defined exclusively in such oppositional terms. If the concept of human rights is understood in terms of justice and protection from cruel and arbitrary treatment of citizens by the state, then we find plenty of examples from other societies. In contrast to Donnelly, Amartya Sen agrees that “The concept of universal human rights in the broad general sense of entitlements of every human being is really a relatively new idea, not to be much found either in the ancient West or in ancient civilizations elsewhere.” But Sen adds a powerful qualifier. Who invented human rights and whether human rights are peculiarly Western depends on which version of the “foundational myths” of human rights one accepts. The so-called Western universalists fail to acknowledge that Western human rights begun as property rights. The Magna Carta, as The Economist magazine reminded us recently, was after all created to “uphold feudal rights”. If property rights demanded is viewed as the real precursor of political rights, then the latter can be indeed made to look more “Western”. If on the other hand the origins of human rights is traced more as a matter of political rights, or rights against cruel and unjust treatment of persons and of political absolutism of the rulers that disregards the welfare of citizens, then there are lots of precedents in other cultures, even during the ancient periods as can be seen from the Ashokan edict. The standard account of the development of international human rights norms identifies three phases: the first addressing civil and political rights, the second economic and social rights, and the third collective rights. The West is credited with the first, the Soviet bloc with the second, and the developing world with the third. In reality, however, during the negotiation of the two Covenants newly independent states consistently stressed the primacy of civil and political rights, and they were the strongest advocates of robust enforcement mechanisms. Moreover, promoting human rights globally, while claiming universal human rights to be Western in its origin, is a bad strategy. It is unrealistic and even self-defeating, from a purely advocacy point of view, to argue that human rights are Western, but then expect everyone else to adopt them unconditionally. It reinforces the perception that the West is imposing its standards on other cultures. On the other hand, acknowledging that human rights have a multiple and global heritage also allows us to look past the divisive, unhelpful and false divide between universalism and relativism, and lays the basis for a more effective strategy of human rights promotion. Might it not be better to say that human rights have a multiple or different points of origin, which might be increasingly converging? The challenge is to find that common ground among the different points of origin of human rights. The opposite of human rights universalism is not relativism, but human rights pluralism. And the opposite of relativism is not universalism, but ethnocentrism. A pluralistic understanding of human rights recognizes the voices of local actors, state and non-state, in the different regions and cultures and at different points of time, who may have independently developed ideas and norms which are compatible with the norms of others. Universality in this sense does not mean sameness, but the acceptance of diversity which is the only universal condition of our global society. A framework for understanding human rights norm diffusion that stresses the agency of local actors can be developed out of some of the recent “agent-centric” theories of norm diffusion, especially the ideas of localization and subsidiarity. The prospect for localization depends on (1) the strength of indigenous cultural traits and traditions, and the moral and functional appeal of prior local norms and institutions, (2) positive impact of new norms on the legitimacy and authority of key norm-takers, without altering their fundamental identity, (3) the credibility, legitimacy and prestige of local agents, and (4) the scope for grafting and pruning presented by foreign norms. Localization, rather than wholesale acceptance, occurs when prior norms are robust and are embedded in strong local institutions. In HR, if those institutions offer strong protection to local actors, like the community justice in Bolivia. Some local norms are foundational to a group. They may derive from deeply-ingrained cultural beliefs and practices or from international legal norms which had, at an earlier stage, been borrowed and enshrined in the constitutional documents of a group. The stronger the local norm, the greater the likelihood that new foreign norms will be localized rather than accepted wholesale. If norm-takers believe that that their existing beliefs and approaches are not harmful, but merely inadequate, (i.e., not geared to addressing newer challenges) and therefore have to be broadened and strengthened with the infusion of new ideas, then localization is more likely than displacement. Second, localization is likely if the norm-takers’ come to believe that new outside norms – which may be initially feared and resisted simply because of their alien quality – could be used to enhance the legitimacy and authority of their extant institutions and practices, but without fundamentally altering their existing social identity. A third condition is the availability of credible local actors (“insider proponents”) with sufficient discursive influence to match or outperform outside norm entrepreneurs operating at the global level. The credibility of local agents depends on their social context and standing. Local norm entrepreneurs are likely to be more credible if they are seen by their target audience as upholders of local values and identity and not simply “agents” of outside forces or actors and whether they are part of a local epistemic community which could claim a record of success in prior normative debates. Diffusion strategies that accommodate local sensitivity are more likely to succeed than those who seek to supplant the latter. Hence, outsider proponents are more likely to advance their cause if they act through local agents, rather than going independently at it. Finally, the existential compatibility between foreign and local norms must not be ignored as another catalyst. The prior existence of a local norm in similar issue areas as that of a new external norm and which makes similar behavioral claims makes it easier for local actors to introduce the latter. Moreover, the external norm must lend itself to some pruning, or adjustments that make it compatible with local beliefs and practices, without compromising its core attributes. Hence, the relative scope for grafting and pruning presented by a new foreign norm contributes to the norm-taker’s interest to localize and is critical to its success. Actors resort to norm subsidiarity for two main reasons. The first is to challenge their exclusion or marginalization from global norm making processes. Institutions dominated by great powers do not always reflect the ideas, interests and identities of weaker states. In such cases, norm subsidiarity is a response by the latter to the “tyranny” of higher-level institutions (formal or informal, including multilateral organizations or great power security management regimes) in global governance. Second, states may resort to norm subsidiary when confronted with great power hypocrisy. This occurs when they see the violation of their cherished global norms by powerful actors and when higher level institutions tasked with their defense seem unwilling or incapable of preventing their violation. In short, both localization and subsidiarity stress the agency of local actors, the importance of cognitive priors, and the need to build congruence between existing and emerging norms. Both recognize that normative change in most cases is evolutionary, not a one-step transformation, and that “shaming” should be pursued alongside “saving face”, rather than be an end in itself. Subsidiarity stresses local norm creation and their repatriation or external circulation, including from regional to global and on a region-to-region basis. Most important, both interrogate the allegedly universalistic claims of ideas and norms or at least recognize that many of the ideas and norms that are supposedly universal are essentially Western and display a Western bias. They also call for viewing human rights diffusion as a two-way dialogue between local “norm takers” and transnational advocacy groups, and for tempering, if not rejecting, the moral cosmopolitanism of constructivist approaches to norm diffusion, whereby good global norms are implicitly seen as western, and bad local practices non-Western. This approach holds that some local beliefs and practices have a robust legitimacy and functionality which should be recognized and promoted. How to develop a more inclusive approach to human right norm diffusion that gives due recognition to the agency role of the local actors? To this end, I propose what might be called the Banyan metaphor of human rights norm diffusion. “Indian fig tree, Ficus bengalensis, whose branches root themselves like new trees over a large area. The roots then give rise to more trunks and branches. Because of this characteristic and its longevity, this tree is considered immortal and is an integral part of the myths and legends of India. Even today, the banyan tree is the focal point of village life and the village council meets under the shade of this tree. The definition suggests several core characteristics of the Banyan. The fact that the branches of the Banyan “root themselves like new trees over a large area” resonates with the idea of localization. And the fact that the new “roots then give rise to more trunks and branches” evokes the idea of subsidiarity. The main trunk of the Banyan is the modern Western concept of human rights. But the subsidiary trunks and branches that germinate from the roots of the branches are what keeps the tree stable and ensure its longevity. It is they which provide the large canopy and shade for people to rest and engage in recreation, and deliberate for village council meetings. Moreover, the Banyan is multicultural. The Banyan is multicultural, sacred to both Hindus and Buddhists. Since the Bodhi Tree is a version of the Banyan, the Banyan is associated with Enlightenment, of the Buddhist, not the Western kind. The oldest Banyan Tree standing still in India was planted by Kabir, a saint of Sufism, the most inclusive and tolerant sect of Islam. The Banyan combines elements of both localization and subsidiarity. It involves bringing global norms to local context, and exporting locally made rules to the global context. In both cases, it recognizes the primacy of local actors. Stressing the multiple and global heritage of human rights ideas and norms. The standard narrative that human rights, especially protection against unjust and cruel punishment, are Western in origin is not only false, but also tactically counterproductive in so far as the promotion of human rights is concerned. 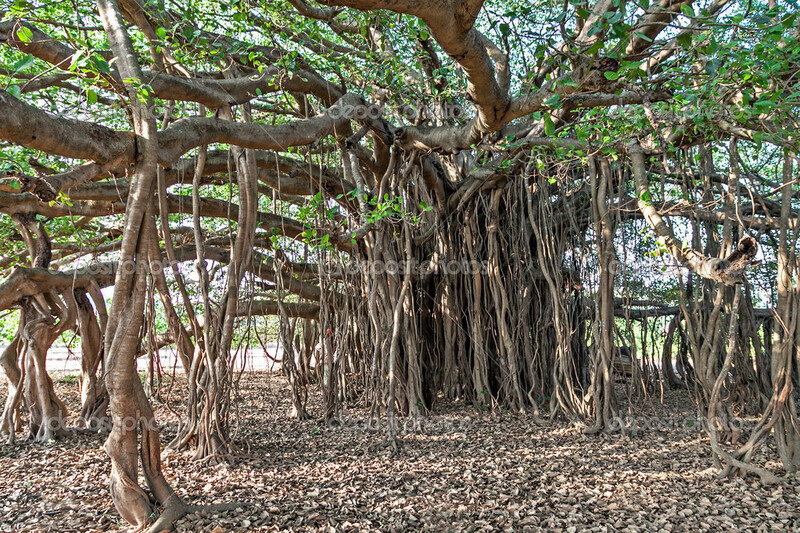 A Banyan has a large canopy and multiple roots, which collectively define and sustain the tree. Adopting a more inclusive, rather than adversarial approach, although both elements may be present depending on the context and need. In village life, a Banyan shelters a variety of creatures and activities and is generally seen as a place for accommodation even though it also offers a site for arguments, negotiations, compromise and sanctions. Emphasizing the role of local (domestic, regional) actors, their ownership and norm entrepreneurship. A Banyan shelters outside travelers, but they are guests. They bring in new ideas and new incentives, but it is the locals who decide whether to buy their product and how much of it. A Banyan also connotes two-way interactions among its roots (top-down or global to local support and bottom-up or local to global feedback). Consistent with the metaphor of a village council meeting under the Banyan tree, local actors and institutions can provide a venue for debate, consensus, dialogue, and dispute settlement. The key is two-way dialogue between outside and inside proponents of human rights. Making use of cognitive priors, including cultural ones, in framing and operationalizing human rights ideas and approaches. This speaks to the cultural and religious significance of the Banyan. A Banyan approach would stress symbolic politics rather than sanctions, “saving face” rather than shaming. The cultural and religious attributes of other cultures, including those of pre-modern West are cognitive priors. A Banyan approach uses them to localize and diffuse the norm. In a Banyan approach, human rights diffusion is not a dramatic, one-step process, but evolutionary. Even if norms are accepted through treaties, negotiation over their meaning and implementation and improvement may continue. Local actors are not necessarily aided or abetted by Western or transnational rights groups, who threaten a boomerang of international pressure or sanctions, but promote human rights by engaging in identity politics, or discourses about regional and local identities. For their part, governments, including newly democratic governments, may seek domestic and regional legitimacy, and distance themselves from their autocratic predecessors. In advancing their cause, both governments and local and regional NGOs rely on insider advocates within governments as much as outsiders. They also focus on local issues, invoke local symbols, and use preexisting forms of mobilisation. Local NGOs may partner transnational NGOs, but keep the driver’s seat. The dialogue between civil society groups and governments continue under the Banyan Tree (the village council) to expand on the early gains. NGOs incrementally apply pressure and insert themselves into a regional human rights agenda. There is now growing evidence that the global human rights movement is going local. Recent studies on human rights increasingly show the changing relationship between the global and the local advocacy of human rights. It not only shows “how local struggles and realities transform classic human rights concepts”. There has also been “a growing emphasis on realization of rights on the ground” and a consequent “re-calibrating of the balance between global and local actors,” with movements in the Global South “actively seeking different sources of authority, knowledge, framing and agenda-setting power” to challenge “northern dominance and developing their own capacity to shape global debates.” These shifts are consistent with the shift from a boomerang to a Banyan approach, and may ultimately define true universalism in the idea and practice of human rights. On the Boomerang model, see Margaret E. Keck and Kathryn Sikkink, Activists Beyond Borders: Advocacy Networks in International Politics (Ithaca, NY: Cornell University Press, 1998). On the spiral model and difference between it and the boomerang model, see Thomas Risse, Steven C. Ropp and Kathryn Sikkink, The Power of Human Rights: International Norms and Domestic Change (New York: Cambridge University Press, 1999). Here I shall only refer to the Boomerang, since the spiral model is seen as a refinement and extension of the former. Thomas Risse, ‎‎Stephen C. Ropp, and Kathryn Sikkink, eds., The Persistent Power of Human Rights: From Commitment to Compliance (Cambridge University Press, 2013). Emile M. Hafner-Burton and James Ron, “Seeing Double: Human Rights Impact Through Qualitative and Quantitative Eyes,” World Politics, vol.61, no.2 April 2009, 378-379). James Ron, “Legitimate or Alien? Human Rights Organizations in the Developing World,” Paper circulated at the Workshops on Religion and Human Rights Pragmatism: Promoting Rights across Cultures, Columbia University New York, 24 September 2011. Jack Donnelly, “The Relative Universality of Human Rights,” Human Rights Quarterly, Vol. 29, No 2, (May 2007): 286. Donnelly, The Relative Universality of Human Rights,” 284. Amartya Sen, “Universal Truths: Human Rights and the Westernizing Illusion,” Harvard International Review, Vol. 20, no.3 (Summer, 1998), pp. 40-43. “The Uses of History,” The Economist, 20 December 2014, p.35. Christian Reus-Smit, Individual Rights and the Making of the International System (Cambridge: Cambridge University Press 2013); Kathryn Sikkink, “Latin American Countries as Norm Protagonists of the Idea of International Human Rights,” Global Governance, Vol. 20, No. 3 (2014):389-404. Reus-Smit, “Building the Liberal International Order: Locating American Agency,” Paper prepared for the Annual Meeting of the American Political Science Association, Washington,DC, 28-31 August 2014, pp.12-13. Amitav Acharya, “Norm Subsidiarity and Regional Orders: Sovereignty, Regionalism and Rule Making in the Third World,” International Studies Quarterly, vol. 55 (2011), pp. 95–123. Steve J. Stern and Scott Straus, eds., The Human Rights Paradox: Universality and Its Discontents (Madison: University of Wisconsin Press, 2014): from the back cover.